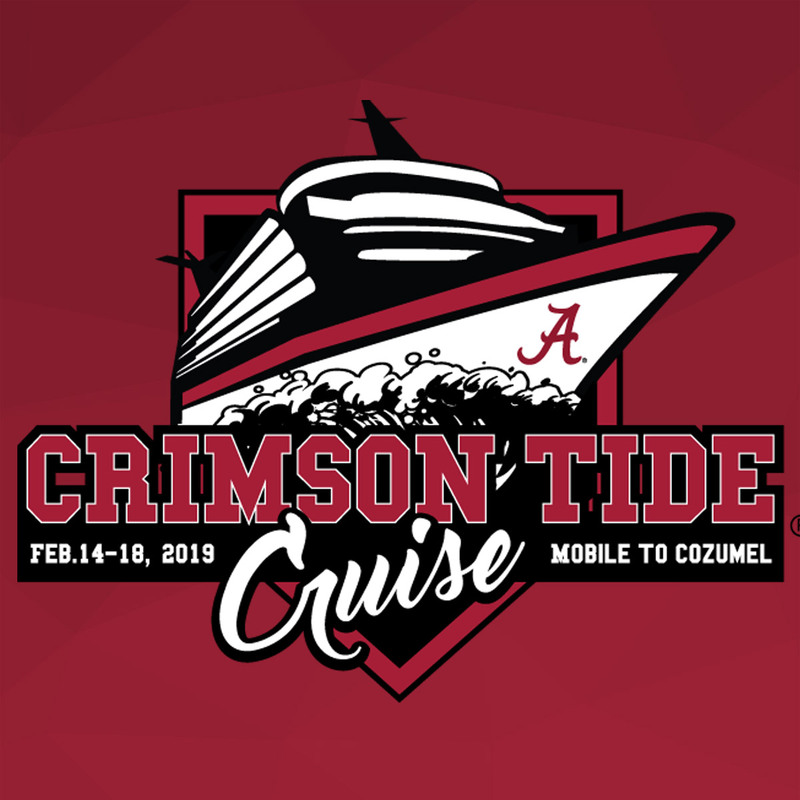 Round up your teammates and bring that Rammer Jammer spirit aboard the first annual Crimson Tide Cruise! The ultimate 4-day Sail-gate Party and National Championship worthy vacation sets sail February 14-18, 2019, on board the the Sweet Boat Alabama, Carnival Fantasy, from our home port of Mobile to the island beach paradise of Cozumel, Mexico! We’re gonna do what ‘Bama does best: WIN. All Day. Every Day. All Weekend Long! The Crimson Tide Cruise will bring it’s A-Game to deliver a lifetime of memories with UA Legends, Spirit Squads and GameDay Favorites, including autograph sessions, photo opportunities, athlete hosted events & activities, charity auctions, plus theme nights, live music, comedy shows and so much more!